What sets us apart? Our unparalleled dedication to customer care. At Brevard Medical Equipment, our courteous and caring staff works with your schedule to provide you with what you need, when you need it. Not only are we on-call 24 hours a day, but we deliver and pick up your equipment, repair it and offer loaner products to keep you on the go. Because we care, we work to accommodate you as much as possible. Not only can we deliver your equipment to port or wherever you may be located, we can pick it up once you’re done with it. Even the best mobility and medical equipment can break down, so we offer repairs on equipment whether you bought it with us or not. Brevard Medical Equipment is here to help you breathe easy. 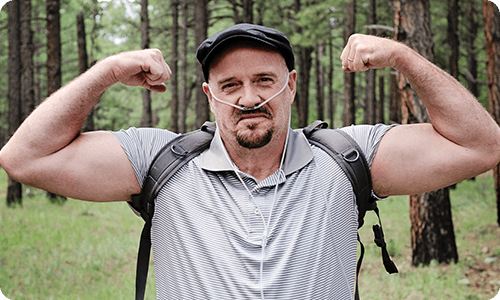 Soak up the sun on vacation worry-free with our oxygen equipment and certified respiratory therapist who can help you find what you need and show you how to use it. We carry portable oxygen concentrators so you can travel further on this vacation. Our priority is helping you achieve the most safety and independence possible. That’s why we carry and install quality bathroom safety equipment and grab bars. If you're not sure what you're looking for or have any questions, we encourage you to contact us, we're happy to help! Our Registered Orthopedic Fitters are experts in fitting orthopedic braces, compression stockings and compression garments. Orthopedic braces can be custom fitted to you and promote strength and improve functionality. Get in touch with us to make an appointment today. If you have any questions about our services or products, we encourage you to give us a call, fill out our online contact form or visit our location to speak with an expert. Bon Voyage!